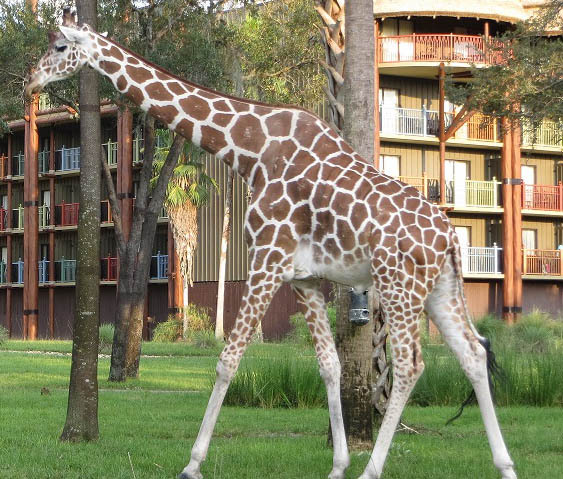 Trek through Disney’s Animal Kingdom Savannah. Backstage tours at Disney give glimpses into sights that we normally would not see during a day in the parks. These tours are offered at an additional cost and cover everything from horticulture to costuming. Tours are a fantastic alternative to the parks and a wonderful addition to any Disney vacation. The Wild Africa Trek at Disney’s Animal Kingdom is a 3 hour VIP tour that should be added to every Disney fan’s bucket list. Guests ages 8 and up have some very close encounters with the star residents of the Animal Kingdom Savannah. During the tour you will be guided through a viewing of hippos and crocodiles from a rope bridge 10 feet above. Don’t worry…you are securely harnessed to a cable, so there will be no unfortunate face-to-face meetings with Tick-Tock the Crocodile. During your tour, you will also have the opportunity to try some African-inspired snack foods. Depending on the time of day you select for your tour; you will be given either breakfast or lunch menu items. The tours start at 8:00AM and run every 45 minutes until the last tour of the day at 2:30PM. The expedition does also require theme park admission as well as a charge for the tour. Current tour admission rates can be obtained by calling Disney at (407) WDW- TOUR. Additional details, including restrictions and clothing requirements can be found here. Will you plan a tour for your next Disney vacation? This entry was posted in Animal Kingdom, Disney Tours, Uncategorized, Walt Disney World and tagged Animal Kingdom, Disney, Disney Animal Kingdom, Disney Tours, Kilimanjaro Safari, Walt Disney Company, Walt Disney World. Bookmark the permalink. ← Do You Think This Works?